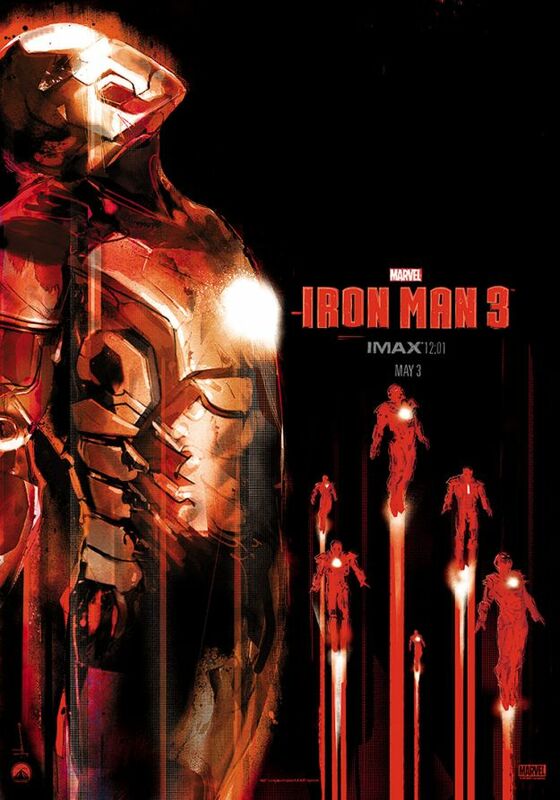 If you plan on attending a midnight IMAX screening of Marvel's Iron Man 3, there's a good chance you're going to get one of these nifty IMAX posters that were created by renowned comic book artist Jock. I love this poster design, and even though I've already seen the film I think I'm going to have to go to a midnight screening of it to get one of these posters. To see if your local IMAX theater is participating in the poster giveaway click here. The movie opens up on May 3rd, and this is a movie you don't want to miss!